Iron is a required mineral in pregnancy, and the requirements are much higher for a woman at this time than when she is not pregnant. Your body produces more blood to support the growth of your baby. If you’re getting Iron Deficiency, your body might not be able to produce the amount of red blood cells it needs to make this additional blood. The amount of iron you need depends on the trimester you are in, but also your body’s overall condition. Therefore, you should have your physician test your iron levels throughout pregnancy and do what you can to keep the levels healthy. How Much Iron Do I Need While Pregnant? Iron requirements are reduced during the first trimester, but with each subsequent trimester, you will have higher iron needs. For the first trimester, 0.8 mg of iron is sufficient, while you need 4 to 5 mg of iron in the second trimester, and up to 6 mg for the third. Iron is necessary, because your body’s blood and oxygen go to the baby, which increases your own demands for iron. Also, low iron has been linked to low birth weight, and other health complications. 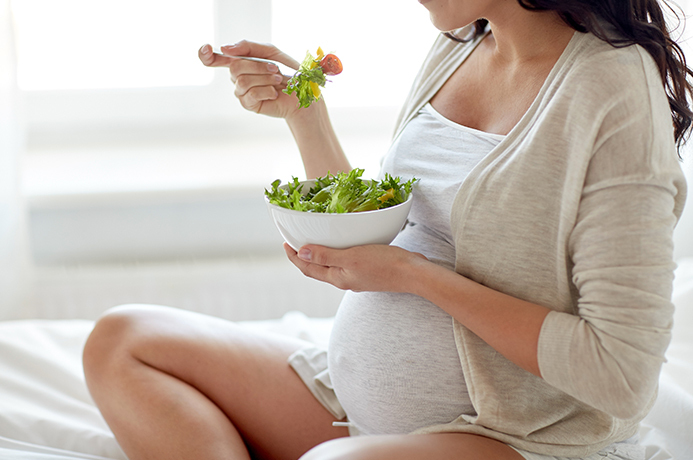 You have a few options for maintaining proper iron levels while pregnant, and not all require taking a supplement. Instead, it is about striking a balance between nutrition and supplements to ensure enough iron is absorbed. Eating Meats Rich in Iron: Certain meats are higher in iron content than others, such as chicken (preferably dark meat), shellfish, and lamb / mutton. You can eat liver for higher doses of iron, but some medical professionals advise against consuming liver during pregnancy. Dark Leafy Greens: The darker the green, the more iron it will have. Stick with dark leafy greens like kale, spinach, cauliflower greens, turnip leaves, radish leaves, mint, and Bengal gram leaves. Vegetables: Certain vegetables are rich in iron, such as pumpkin, sweet potato, broccoli, and beetroot. Seeds and Nuts: Nuts, dried fruits, and seeds like cashews, pumpkin seeds, coconut, mustard seeds, sesame seeds, coriander seeds, walnuts, and pistachios have higher iron content. Legumes: Legumes like kidney beans, dried peas, chickpeas, and lentils are good sources of iron too. Dried Snacks: Raisins and dried cranberries are good sources of iron, but eat only in moderation because these can raise blood sugar levels. How you eat these iron-rich foods matters too. When you eat foods that are high in iron, try to eat them with foods that are high in vitamin C, like tomatoes. Vitamin C encourages iron absorption. At the same time, avoid foods that limit good absorption, such as tea, milk, whole grains, and dairy. 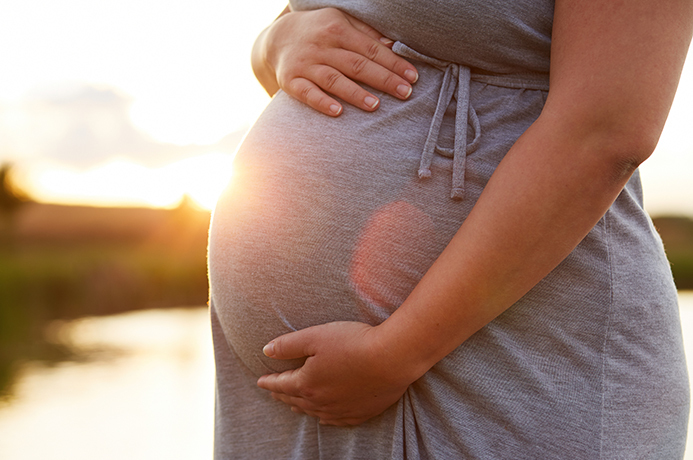 Iron deficiency is common in pregnancy, and some women naturally have lower iron levels even before they become pregnant. Whether you want to maintain your nutrition, educate others, or help friends and family, taking courses in holistic nutrition from Edison Institute of Nutrition is the first step. We offer a variety of courses, including continuing education, introductory courses, advanced diplomas, and post-graduate mentorship. Learn more about our exciting opportunities by calling the Edison Institute of Nutrition today at 800-456-9313 or Contact us online with your questions. Very Informative. I am due in july this year. I am surely gonna try this. Thanks for posting it. You are welcome and Congratulations! This will certainly support you and the baby.